Islamic. Mongols in Persia, Ilkhan. Uljaytu. AD 1304 to 1316. Silver 2 dirhrams. 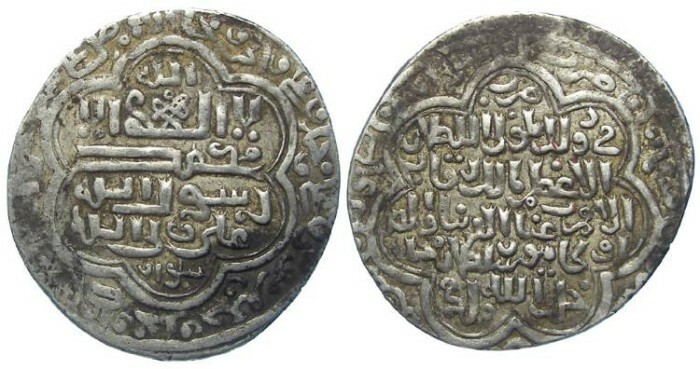 Uljaytu ibn Arghum, AH 703 to 717 (AD 1304 to 1316). Mitchiner spells his name as Ulyaitu. Date : Date not visible. Mint : Shiraz. Reference : Mitchiner Islamic-1616 variety. Album-2188. Size : 24.5 x 26.5 mm. Weight : 3.92 grams. Grade : VF with an over all nice strike, but the date is not visible.